All you need do is look at the world and it is ridden with messages of fear. Whether on television, radio, social media, among family and friends, everyone is on the edge. Everyone is afraid. People are afraid of the unknown, of not meeting people’s expectation, of losing status, of rejection, of abandonment, of humiliation and shame, of being attacked, of failure, of losing loved ones and the list goes on. These fears that we all have, in some shape or form, hold us prisoners in our own lives. It is a deep fungus. Some of us are so paralyzed by our fears we have stayed stuck in the same place emotionally, mentally, psychologically, spiritually and physically. But, what will it take to make us live fearless lives? What will it take to make us BELIEVE in the impossible? There will always be something going on around you, if not internally, definitely externally. The economy, our world leaders, turmoil in your marital, family or general relationships etc. Knowing this, you should have your own faith-filled internal compass that chooses not to be afraid, and at a minimum, even when you are afraid, you face your fears knowing you will prevail. This is a requisite to live the life you are meant to live and to impact the people you are meant to impact with your limited time on this earth. Don’t take it for granted. 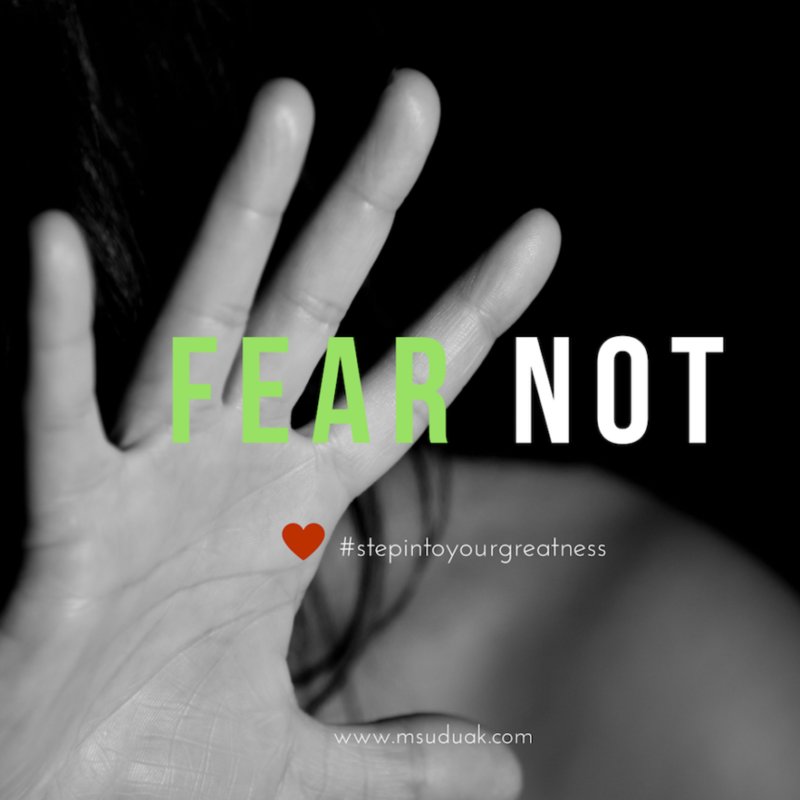 MOVE PAST THE FEAR. Make time to reflect on what scares you, get candid, get brutally honest with yourself and then make a commitment to beat your fear(s) this 2018.